Erni School of Polish was founded in 2003, and is located in the picturesque town of Lebork. We are a small family-run school, and we welcome students of all ages and nationalities. We provide a comfortable and flexible environment for learning, where each student receives personal attention and care. For students not from the area, accommodation can be arranged with one of our hospitable local families or a hotel. Five classes per day ( 25 classes a week ) The maximum number of students in this course is FOUR. Four classes per day (20 classes a week). The maximum number of students in this course is FOUR. Three classes per day ( 15 classes per week). The maximum number of students in this course is FOUR. By Plane:The best way to arrive by plane is via Gdansk Lech Wałęsa airport. If you arrive to Gdansk by air then you can take the train to Lebork (1 hour 20 minutes, 4 pounds). The school can arrange to pick you up from Gdansk Airport upon your arrival. By Car:Please see the following Poland's road Map link search Lebork on the website under "miasto"
The Lebork area is situated in the historic Pomeranian Province. The city of Lebork is over 800 years old and is the only city in the Pomeranian area that has retained its old city walls. Its mediaeval castle was built in the 14th century by German Knights of the Cross. Lebork is also situated in a beautiful environment, with large surrounding forests and numerous lakes. Lebork is also located 30 kilometers from the Baltic sea with the resort town of Leba offering an exciting spot for leisure in the summer: including sailing lessons with English instruction, large sandy beaches and a vibrant nightlife. Next to Leba is also the famous Slowinski National Park. Lebork is located 80 kilometers from Historic Gdansk and Sopot, with frequent train connections at all times of the day. Lebork also offers numerous highquality but fair priced restauarants and pubs with an array of traditional Polish fare available. In my opinion the best thing that we can offer students coming to Lebork is a small friendly learning environment and, with the opportunity to stay with a polish family, immediate immersion into Polish culture and language. Immersion in Polish language and Polish culture. 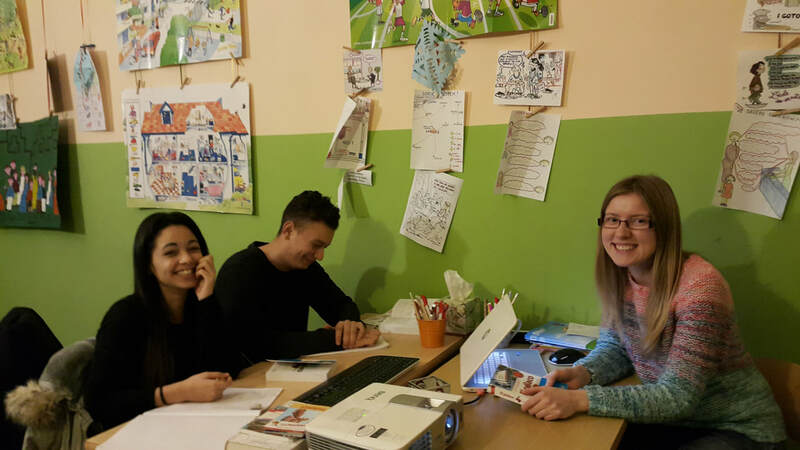 Who are our homestay Polish language courses suitable for? Professionals who seek to learn the Polish language to improve their employment prospects. Why should you choose to learn Polish in Poland with us? You can learn Polish outside of the school in a comfortable family environment. Rapid progress in the Polish Language!